This dessert is nothing short of a dream. 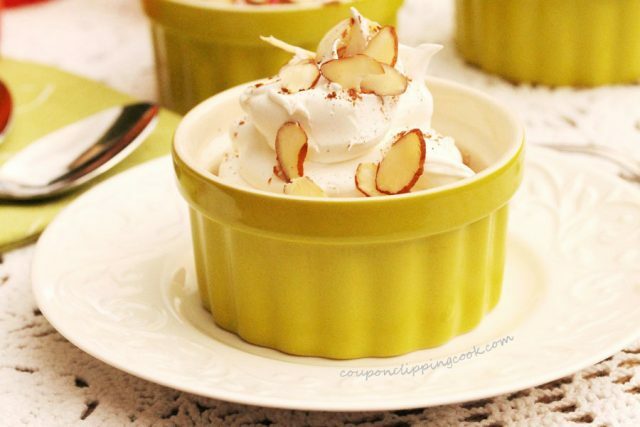 These cream pie desserts are made in single serving ramekin bowls so each person can have their very own pie to themselves. 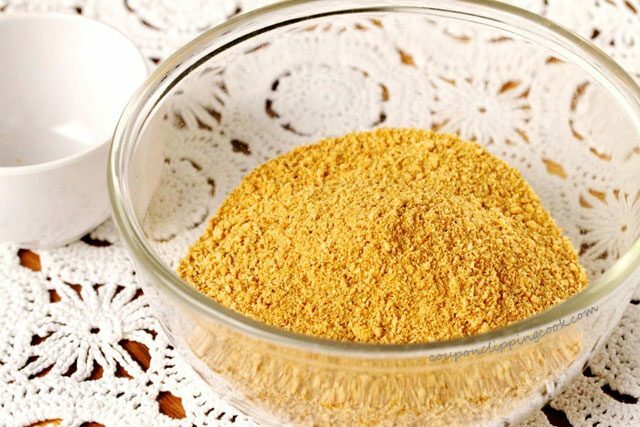 The combination of a cream pie tastes so delicious along with graham cracker crust. Each dreamy bite has creamy goodness plus a little crunch to go with it. These pies have a homemade graham cracker crust that’s made with a little cocoa powder in it. This is where the chocolate begins. Then the cream pie filling is made with soft mascarpone cheese, more cocoa and honey to sweeten things up a bit. 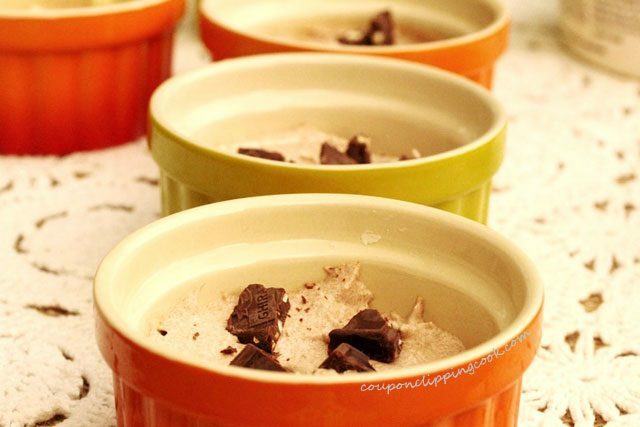 For more chocolate and a little crunch, this dessert has a layer of chocolate candy bar pieces in it. 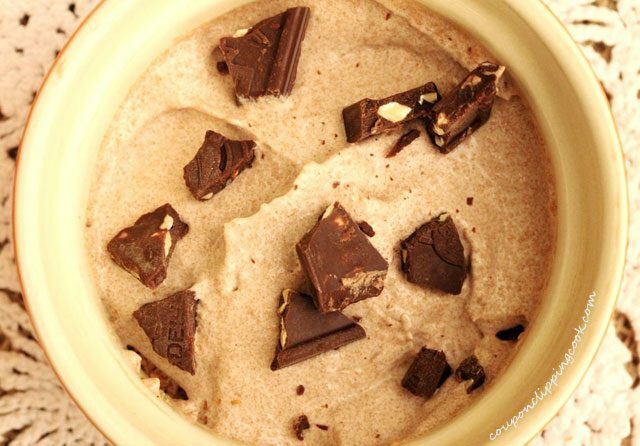 If preferred, chocolate chips can be used instead of the chocolate candy bar pieces. Then of course these pie desserts are topped off with whipped topping and it’s time to eat. 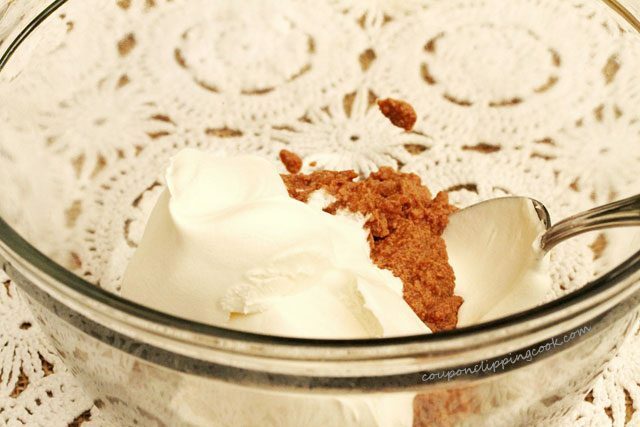 Whipped cream or topping on desserts not only looks appetizing but also tastes so good. 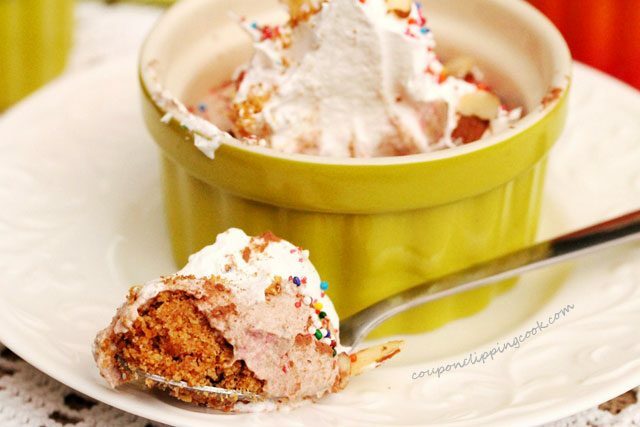 Here are more scrumptious desserts with whipped cream or whipped topping. 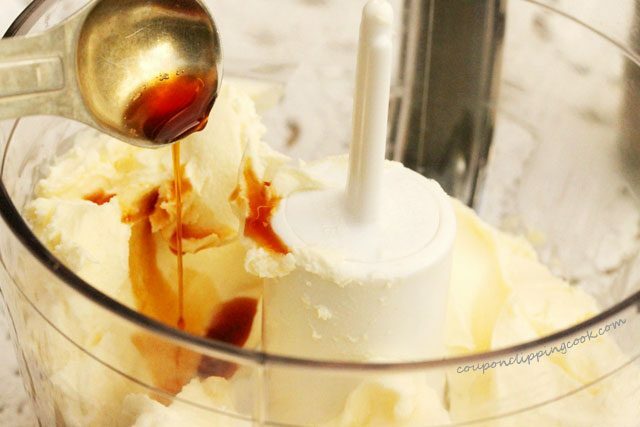 The creaminess and richness in this dessert comes from mascarpone cheese. 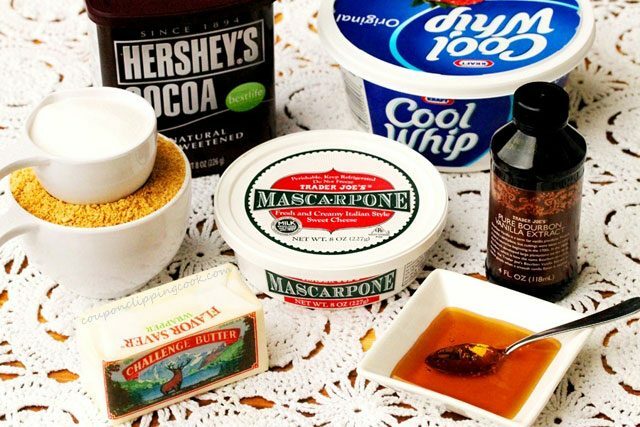 Mascarpone cheese is an Italian cream cheese and is generally located in the refrigerated deli section by where the “American” cream cheese is. It comes in a small plastic container just like the container that spreadable cream cheese is in (picture below). 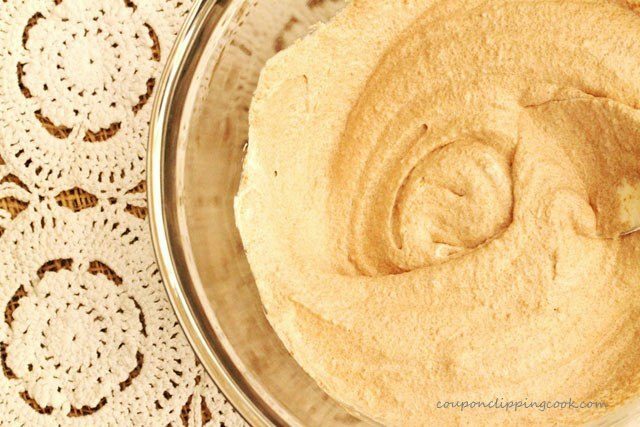 Mascarpone cheese is made from whole cream and has a higher fat content than the “American” cream cheese which makes mascarpone cheese much richer and gives it a creamier texture….just perfect for these dreamy creamy pie dessert. 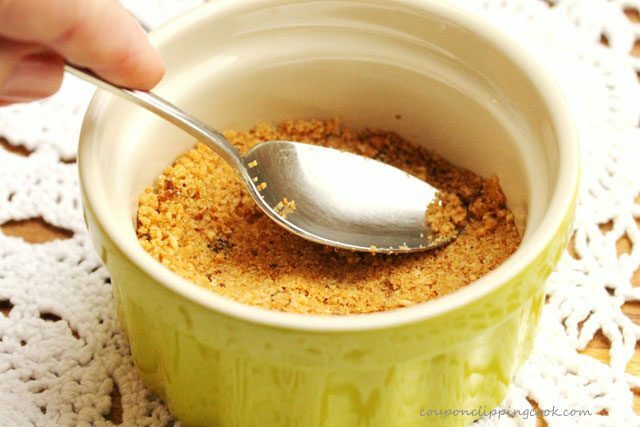 To a medium size bowl, add graham cracker crumbs. 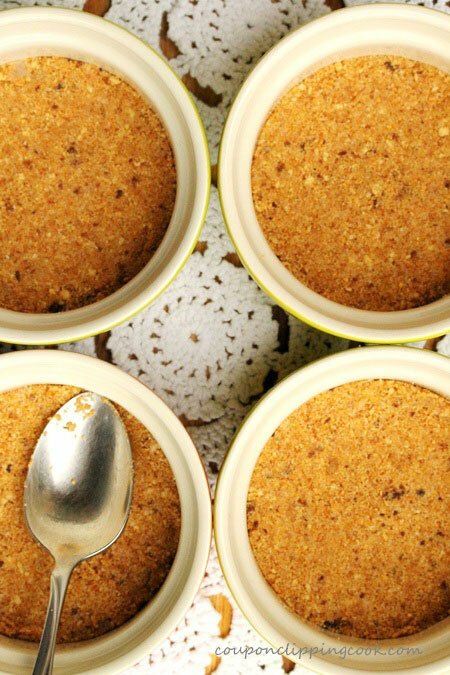 To 5 ramekins or oven-safe serving bowls, add an equal amount of the crust mixture. 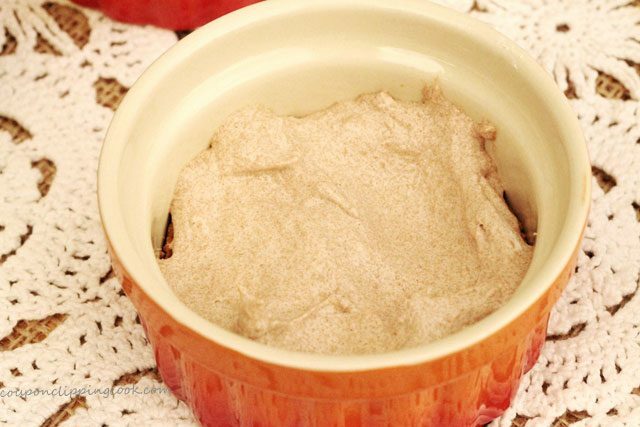 Using a small spoon, push down the crust into the bottom of the ramekin or bowl so that it’s packed in fairly tight. Bake the crust in a preheated oven for 7 minutes. Let the crust completely cool (about 1 hour) before adding the cream pie filling. 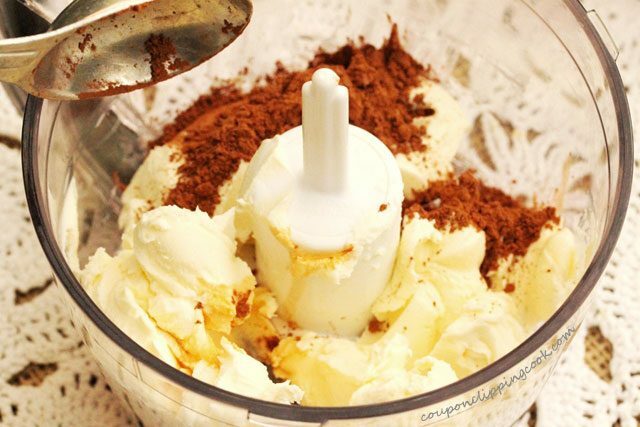 To a small food processor, add mascarpone cheese. 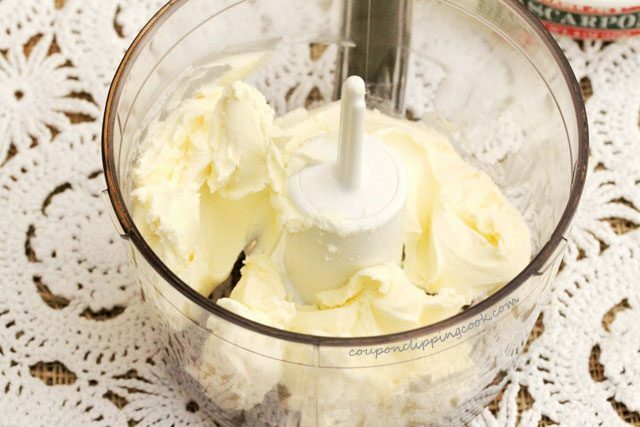 Transfer the mascarpone mixture to a medium size bowl and add Cool Whip Topping (1/2 of an 8 ounce container, reserving the rest for the topping). 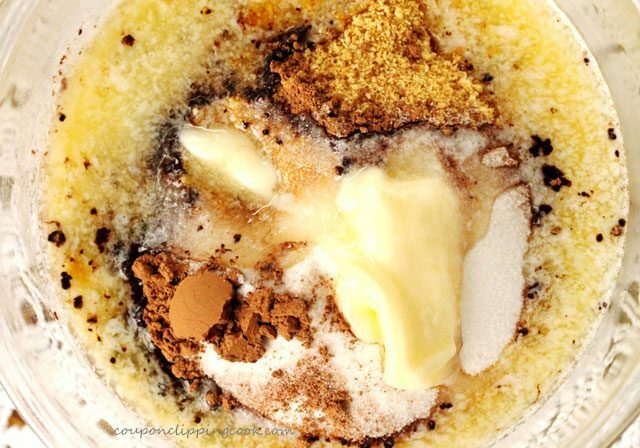 Blend together until fluffy and creamy. Cover the bowl with plastic wrap and store in the refrigerator until the ramekins with the crust are completely cooled. 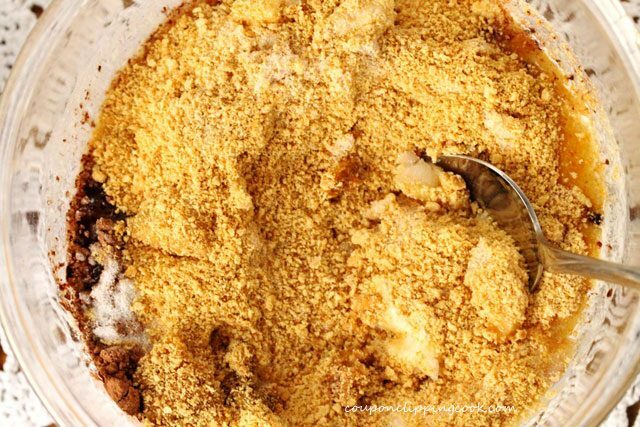 Add the cream pie filling on top of the crust in each ramiken or bowl in equal amounts. Top with broken pieces of a your favorite chocolate candy bar. Or if preferred, chocolate chips can be used instead. 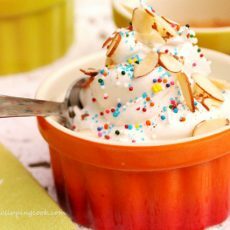 Next, top the desserts with dollops of Cool Whip Topping. Then dig in. This is best when served right away. 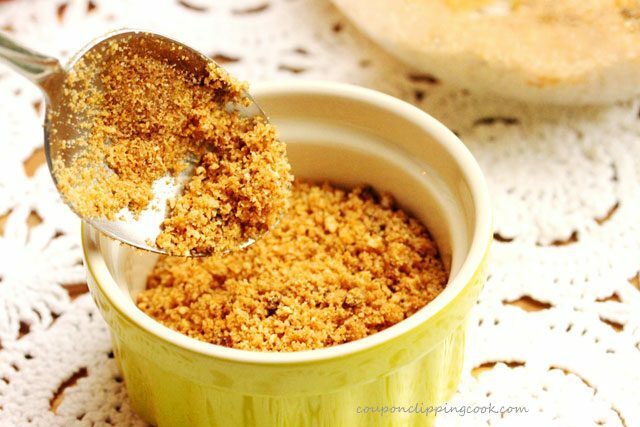 In a medium size bowl, add the graham cracker crumbs, sugar, cocoa powder, and melted butter. 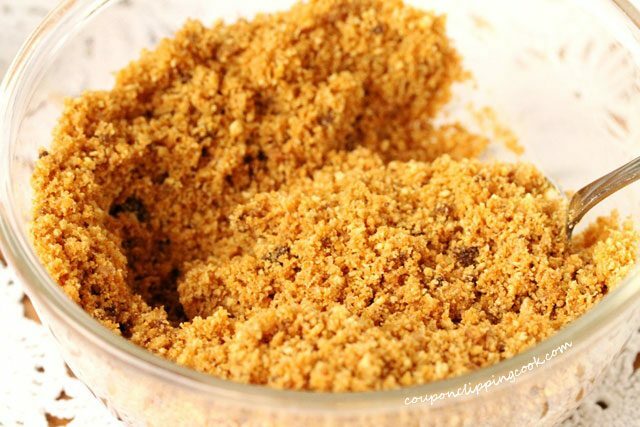 Stir together until it gets crumbly. 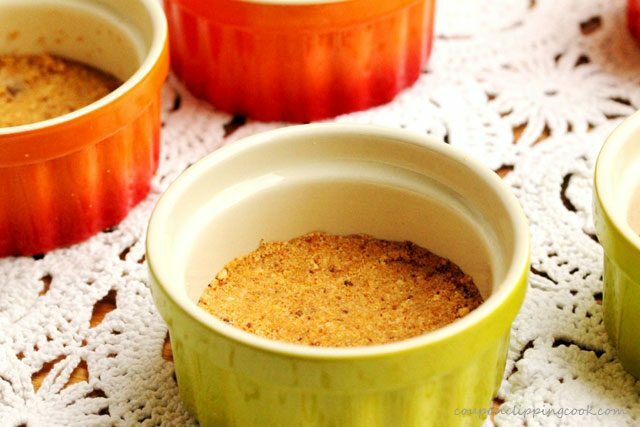 To 5 ramekins or oven-safe serving bowls, add the crust mixture in equal amounts. Using a small spoon, push down the crust into the bottom of the ramekins so that it’s packed in fairly tight. Bake the crust in a preheated oven for 7 minutes. Let the crust completely cool (about 1 hour) before adding the cream pie filling. 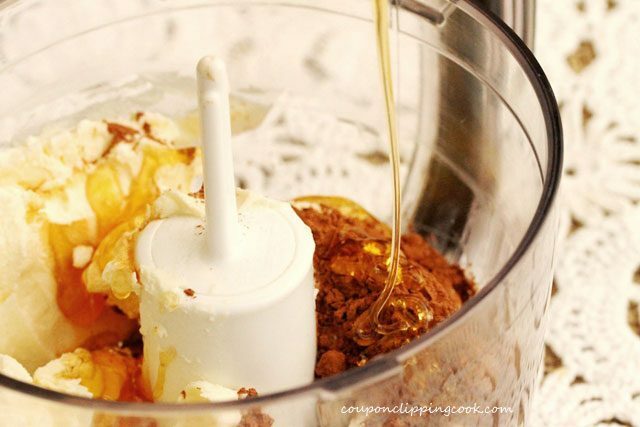 To a small food processor, add mascarpone cheese, vanilla extract, cocoa powder, and honey. Blend together. 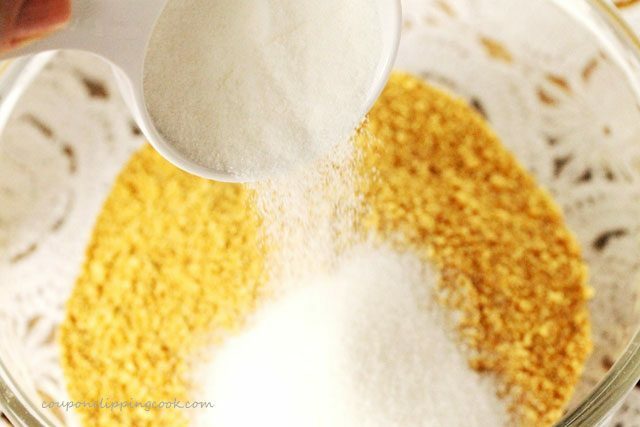 Transfer the mixture to a medium size bowl. 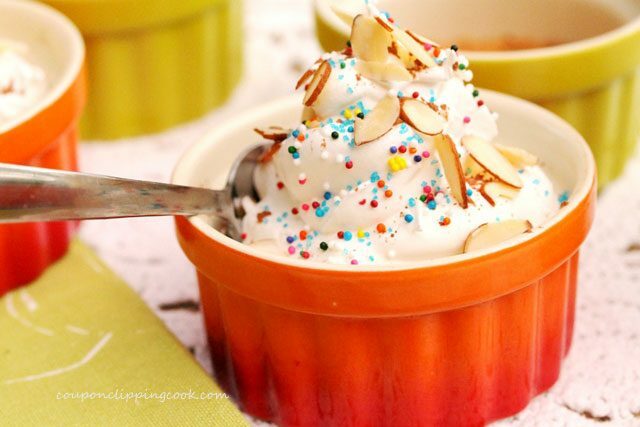 To this bowl, add Cool Whip Topping (1/2 of an 8 ounce container, reserving the rest for the topping). 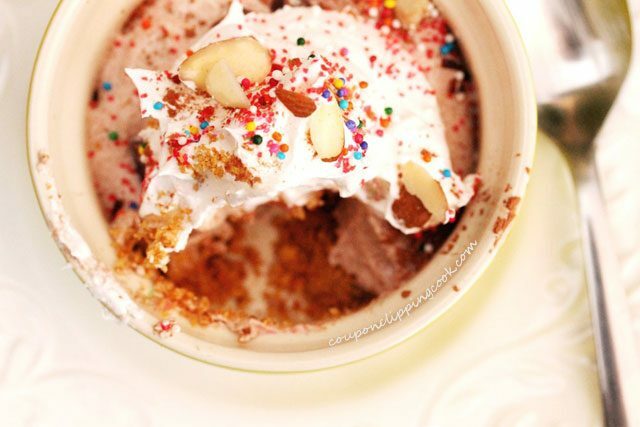 With a large spoon, mix the Cool Whip Topping and the mascarpone mixture together until fluffy and creamy. Then add the cream pie filling on top of the crust in each ramiken or bowl in equal amounts. Top with broken pieces of a your favorite chocolate candy bar. Or if preferred, chocolate chips can be used instead. 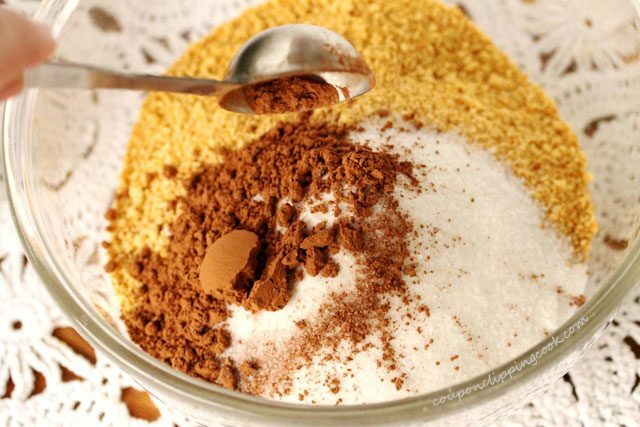 Garnish with candy sprinkles, sliced or chopped nuts, and a super small pinch of cocoa powder. Best when served right away. Oh my goodness… now I know why Exquisite Niche nominated you for the Liebster Award… I love this dessert already! Congratulations, and keep those creations coming! Hi Matt, thank you. I’ll come on over to your site and do that link. Have a great day!